Next week is “Spirit Week”, beginning with Pajama Day on Monday! Friday will be a professional development day, so students will have a 4-day week. The DV Semi-Formal Dance will be on Thursday evening from 6:30-9:30 here on our campus in the “Black Box” Theater. 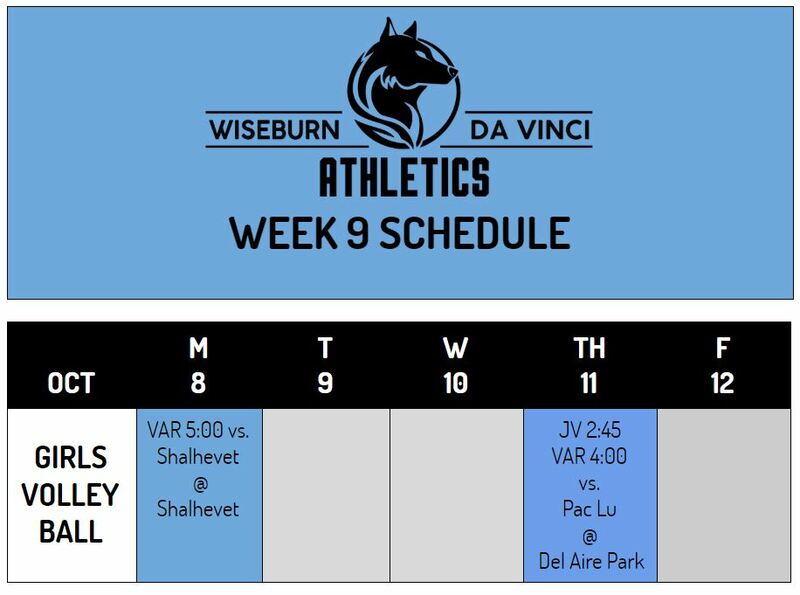 Here are the Week 11 Schedule & Information! 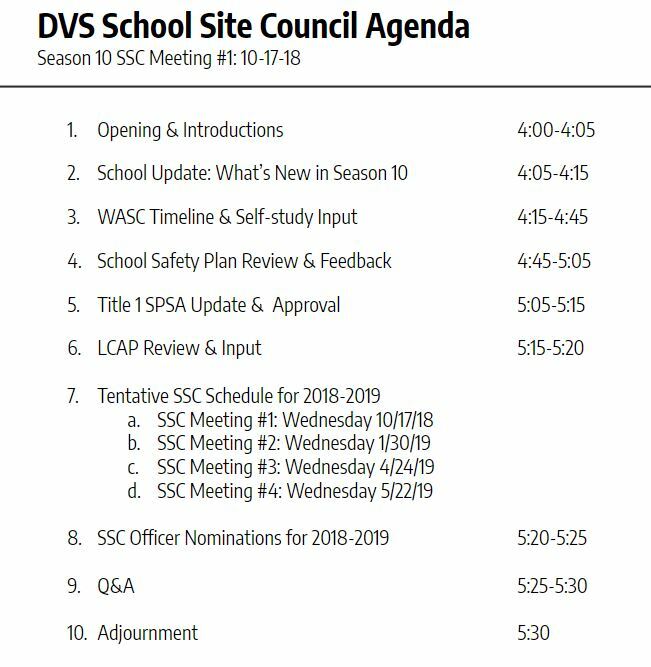 Here is the agenda for tomorrow’s School Site Council meeting. All are welcome to join us! We will begin at 4:00 in the Galileo Room. 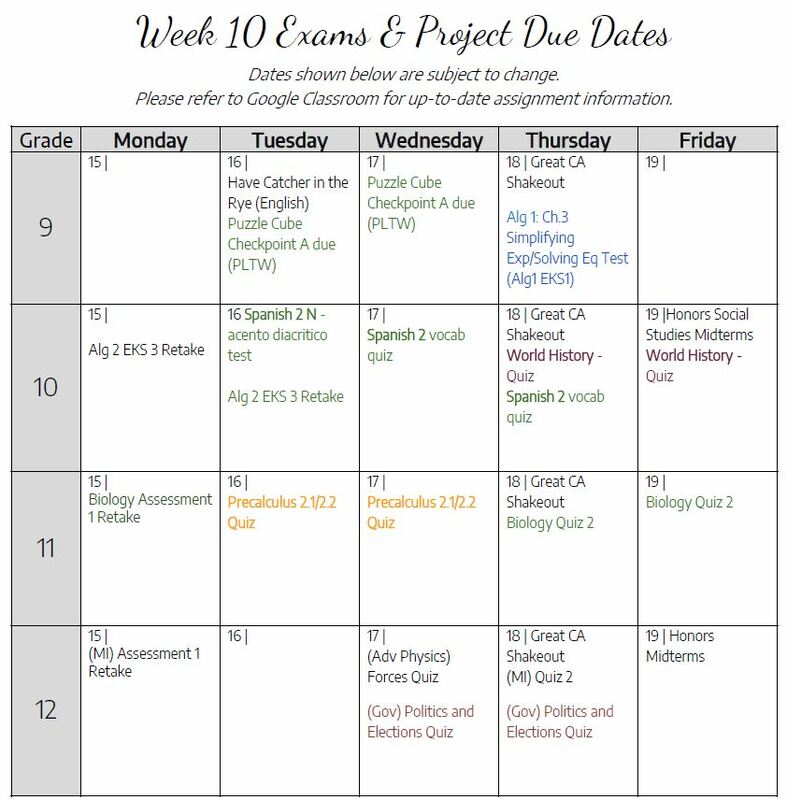 Here is the schedule and the due dates for next week! Have a great weekend! Our first School Site Council meeting of the ’18-19 school year will be from 4:00-5:30 next Wednesday, October 17th. We welcome all DVS parents to attend! Next week is Student-Led Conference Week! This is an important event in your child’s academic year and we hope to have all parents attend. Please let us know if you need to reschedule your time! Student-Led Conferences Are Next Week! 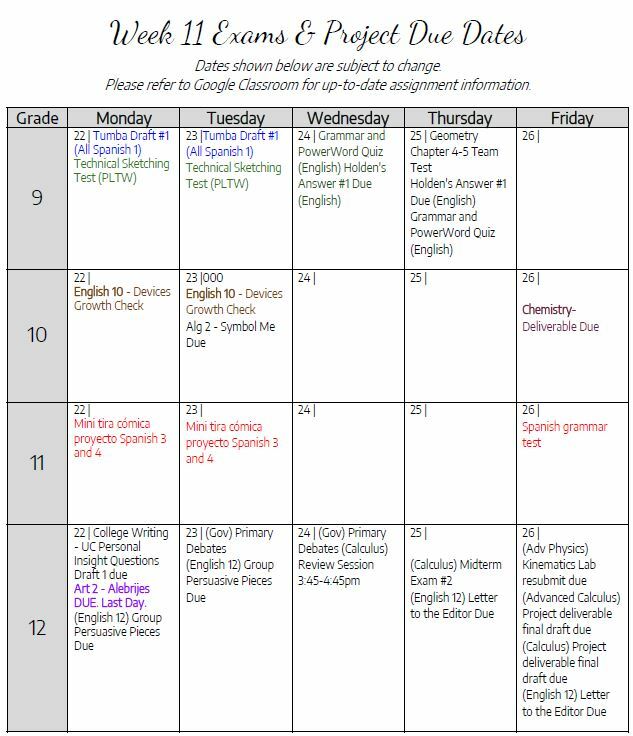 The schedules for next week’s Student-Led Conferences are ready! 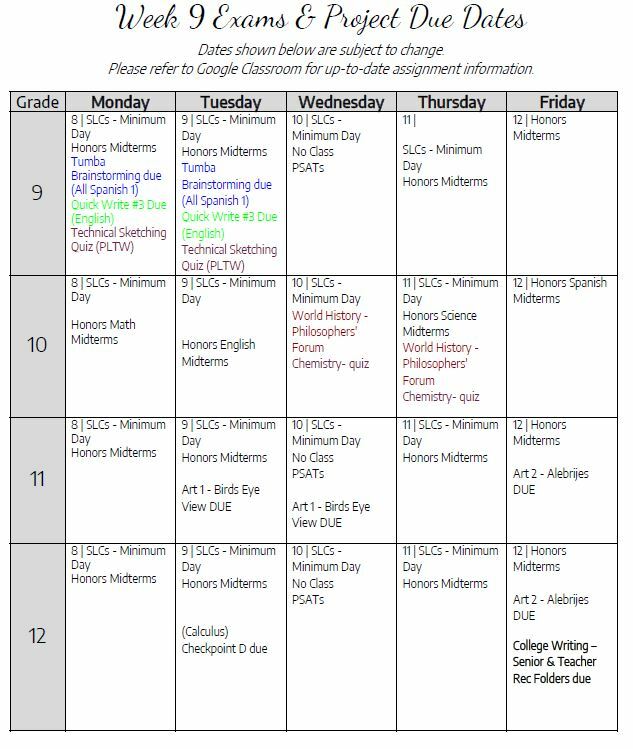 These are important opportunities to hear from your kids and check in with their teachers – please just email me if you need your time slot changed. 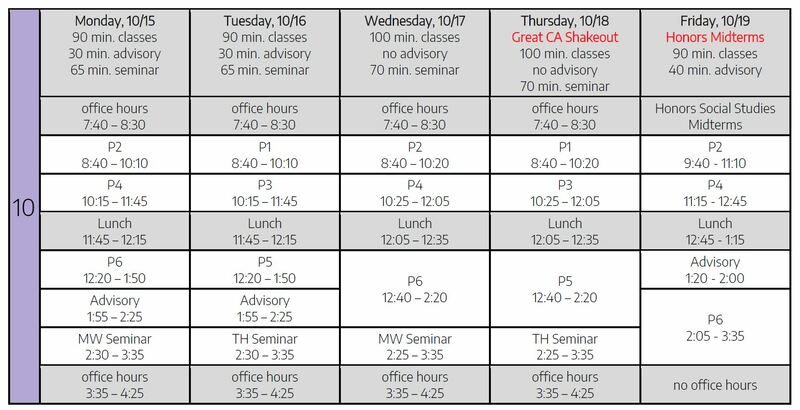 Here are the schedules. 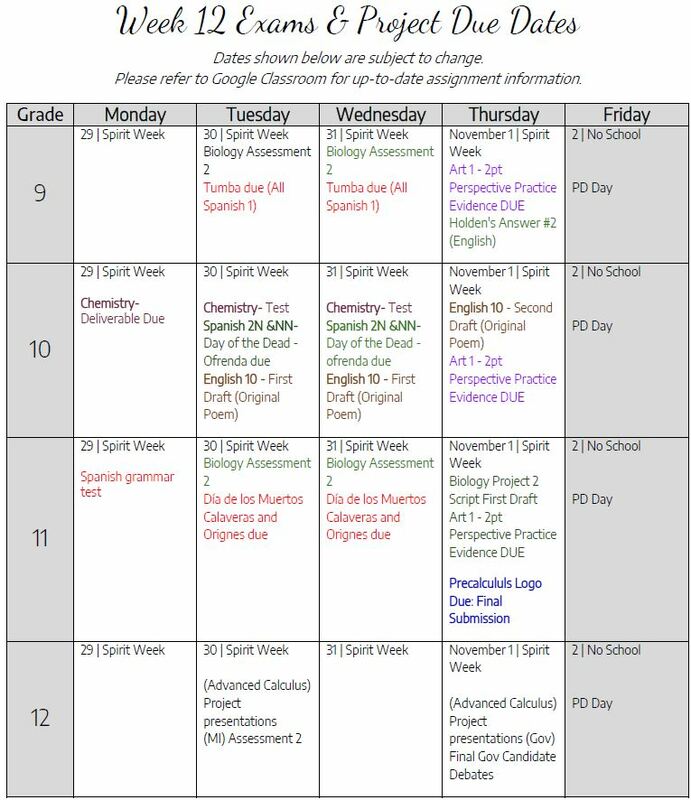 Please note that the 9th grade schedules have been revised from the original posting of this message.